From time to time we post some great recipes, like our favorite tomato recipes . 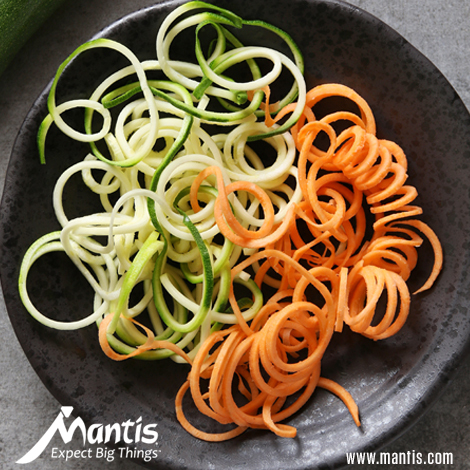 For the extra vegetables we talk about canning , however since canning carrots is not common we have another great use for them: carrot noodles (mix it up with zucchini pasta)! Mind blown! A delicious alternative to pasta — carrots are healthy, have less carbs than pasta, and are a perfect fit for paleo and vegan diets too. And you just might get your kids to eat more vegetables! Wash carrots. Remove carrot top and trim a bit off the bottom. Peel carrots using a wide vegetable peeler. You may not want to use the first layer you peel, but use the remaining for the noodles, making long strips. Or use a vegetable spiraler. Next use a large skillet, add olive oil, then using medium heat sauté the garlic, onion, mushrooms, and basil. Once the vegetables are softened, add the cherry tomatoes and sauté for five minutes. Next add the carrots and the tomato sauce, sauté until carrots are soft. Finally, season with salt & pepper to taste. Serve warm. Enjoy!